I just have sweet little granddaughter and niece that need cloths for their doll. What size loom do I need for your book Knit looming small animals? You need a large spool knitter with a five peg end and an eight peg end a twelve peg flower loom knitter. If you look at my book on Amazon, and scroll down to the “customers also bought” section, you can see both items. I hope you have a chance to make the girls some matching doll clothes. That’s always so much fun. 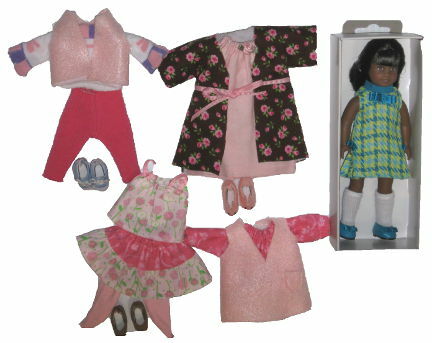 Check my new edition of “Sewing for Mini Dolls” on Amazon. I have added some new patterns that I really like.